Are you ready to get into the action, but you aren't quite sure what type of action? Let us help you figure out what the best sport for you to play is! 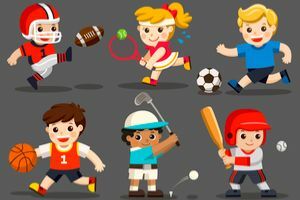 Different kinds of sports offer different opportunities to the athletes that play them. These questions will help in deciphering what you would be good at and what you would most enjoy. Stop worrying and get off the bench by taking this quick and easy quiz! You can get in on the game that is best suited for you. Figure out what that is after taking this quiz!